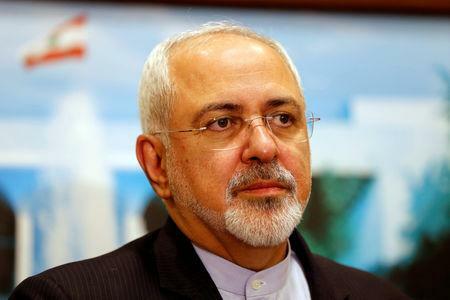 BEIRUT (Reuters) - Iran is waiting for Lebanon to show a desire to accept its military assistance, Iran's foreign minister said on Sunday, reiterating an offer of support to the U.S.-backed Lebanese military. Mohammad Javad Zarif, whose government backs the powerful Lebanese Shi'ite group Hezbollah, was speaking at Beirut airport at the start of his first visit to Lebanon since its new government was formed late last month. Zarif, who is due to meet government officials on Monday, said his visit aimed to declare Iran's support for Lebanon and to announce that it "has complete and comprehensive readiness to deal with the brotherly Lebanese government in all areas". The make-up of Hariri's government largely reflects the result of a parliamentary election last year, in which Hezbollah and groups that support its possession of arms secured more than 70 of the 128 seats in parliament.